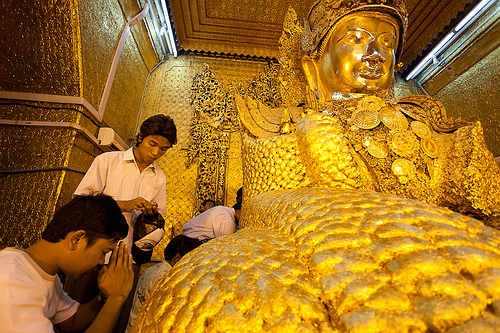 The Maha-muni ("Great Sage") Buddha Pagoda is one of the most important Buddhist pilgrimage sites in Burma. 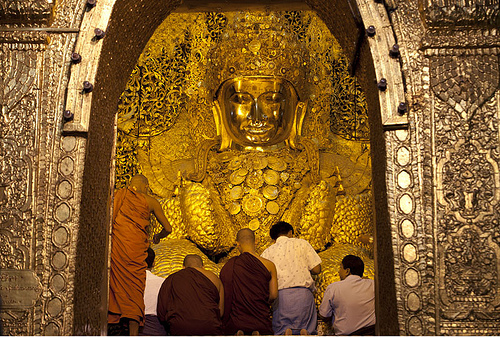 For it houses the Mahamuni Buddha, the most highly revered statue in the country. The pagoda was built in 1785 by King Bodawpaya. Several shops around the temple sell Buddhist offerings for the image such as incense, candles, and flowers. The statue is wearing a crown set with precious stones like diamonds and rubies. The extraterrestrials devas who built Mahamuni: I got there at almost 4:00 am, just in time to see the beginning of a devotional ritual in one of the oldest and most Buddhist countries in the world.. 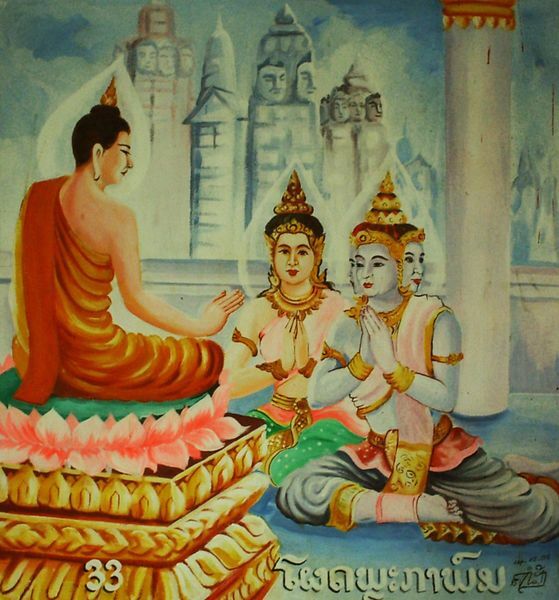 It commences every morning [with] a magnificent Buddha image built by the akasha-deva Sakka, an extraterrestrial ruler. Sakka and Vissakamma built it and gave it to human beings in the area. The Mahamuni Museum on the temple grounds tells the history of Buddhism. It displays information about various places in the Buddha's life from his birthplace in Kapilavastu [Afghanistan], to the forest grove in India, where he realized enlightenment (Bodh Gaya), to the sal tree grove near the Nepal border (Kushinagar or Kusinara) where he passed into final nirvana. There are also maps that explain the spread of Buddhism, known as the Dharma, across Asia during the last 26 centuries. 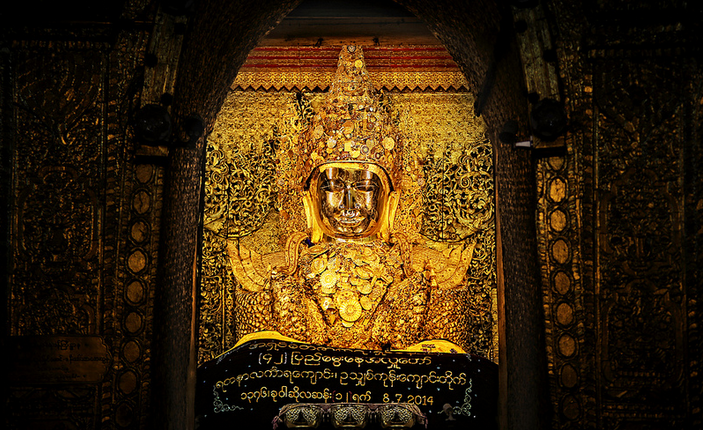 The statue is enshrined in a small chamber room topped with a seven-tiered pyatthat Burmese-style roof. 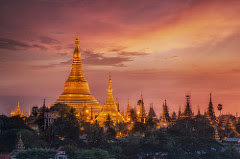 The temple or Mahamuni Pagoda is a monastery and major pilgrimage site, located southwest of Mandalay, Burma. It is highly respected in Burma and central to many people's lives, as it is seen as an expression of the Buddha's life.